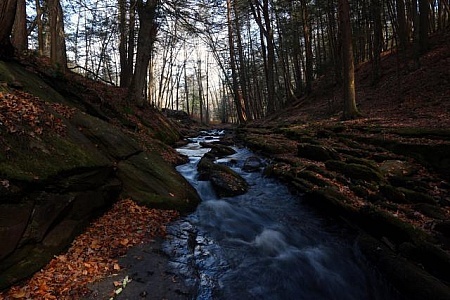 Van Campens Brook flows toward Van Campens Glen in late autumn in the Delaware Water Gap National Recreation Area in New Jersey. 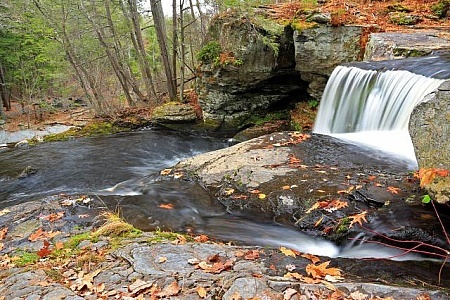 Factory Falls - as viewed from the top of the upper falls - is one of three main waterfalls at George W. Childs Recreation Site in Dingmans Ferry, PA, within the Delaware water Gap National Recreation . 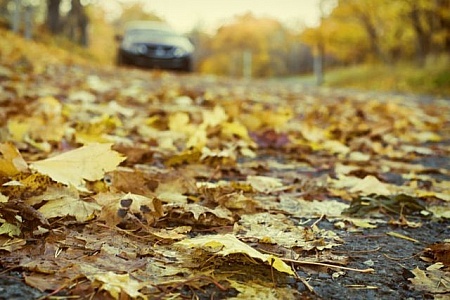 Autumn leaves with parked car.